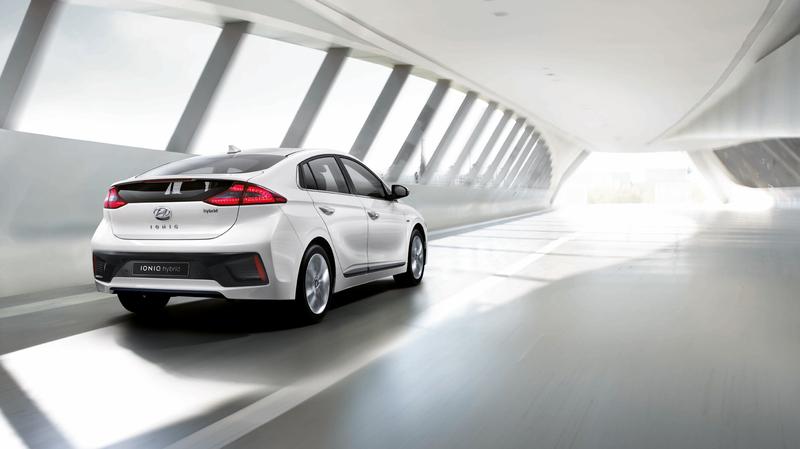 The Hyundai Ioniq is poised to be a bold vehicle -- a sedan sold with drivetrain options that can turn it into a gasoline-hybrid, a plug-in or a fully-electric car -- but beyond a couple of teaser images, we haven't actually seen much of it. Today that changes: Hyundai just released a handful of clear, high resolution images revealing the exterior and interior of the vehicle. The three shots don't give us a good look at the front of the vehicle, but its hatchback rear-end evokes the spirit of the Prius it hopes to outclass. Even so, the Iconiq's longer, more defined backend makes it look a little less alien. Hyundai says that most of the vehicles specifics will be kept under wraps until the Geneva Motor Show in March, but notes that the Hybrid version of the car will be the first model on the market. That machine will feature a 1.6-liter Kappa GDi engine and a hybrid-exclusive dual-clutch transmission.